VIDEO: Bubba Watson has nothing on Gary Meyers! 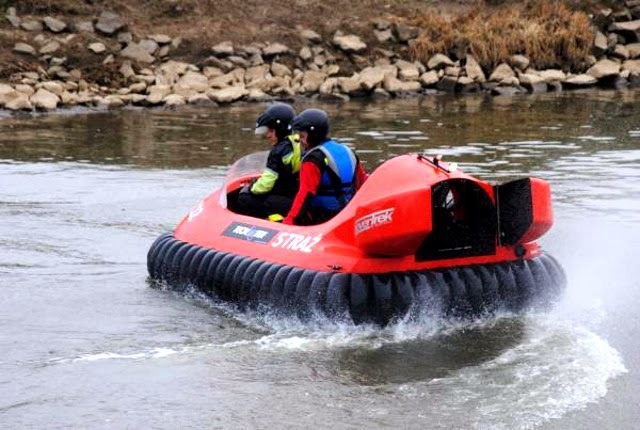 Bubba’s hovercraft golf cart made a major splash with the Bubba’s Hover viral video. Let's make this one go viral, too! 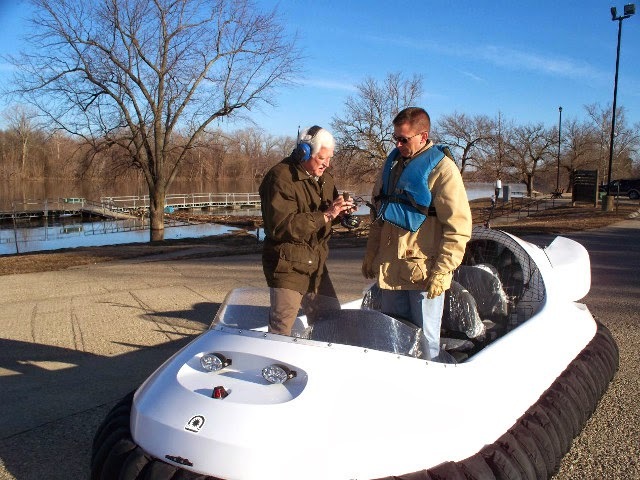 After that, the fire department asked Dan for his phone number, “so if we need you we can call you.” He may start getting those calls now that he owns a Neoteric hovercraft, known for its rescue capabilities and used by first responders across the world. 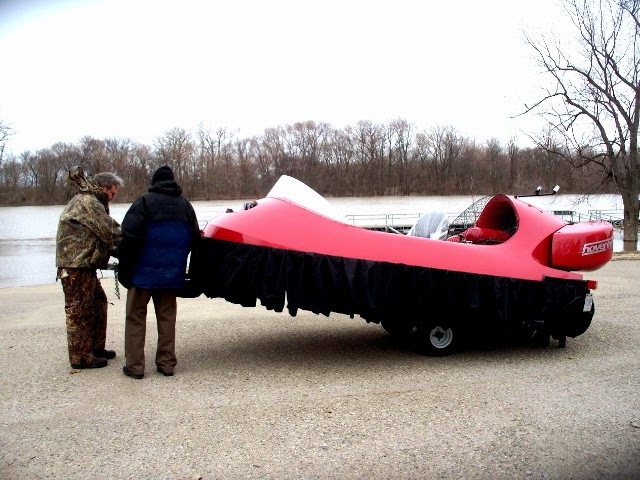 So, when he started thinking about a hovercraft as a family recreational vehicle, he didn’t just call and place an order, even though he lives in the city where Neoteric Hovercraft is located. 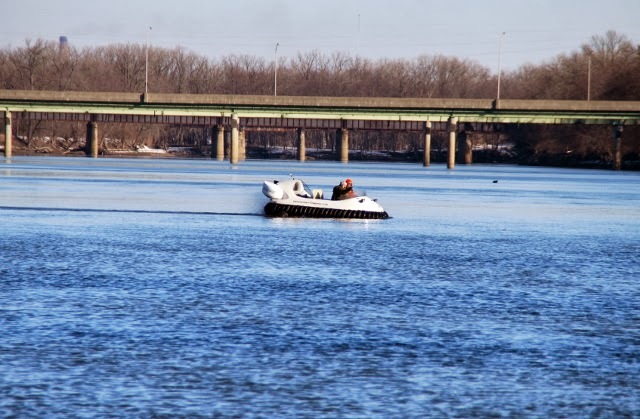 Instead, he did his due diligence: he signed up for a Test Flight and a training course at Hovercraft Training Centers. 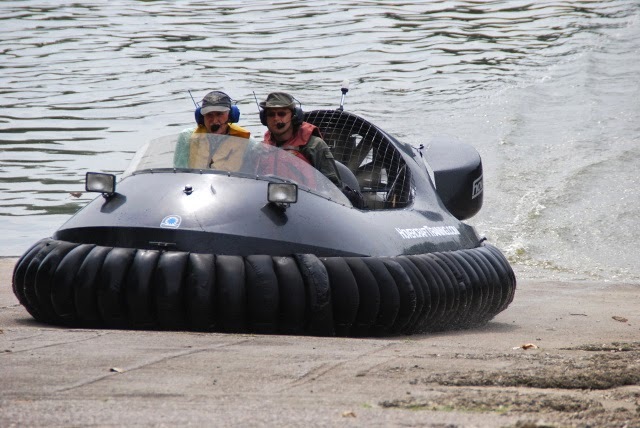 Whatever size the Thrift family hovercraft will be, thanks to Paul’s determination to ‘figure it all out’ with a Test Flight and thorough training, it will - without doubt - be just right for them! Want to figure it all out for yourself? 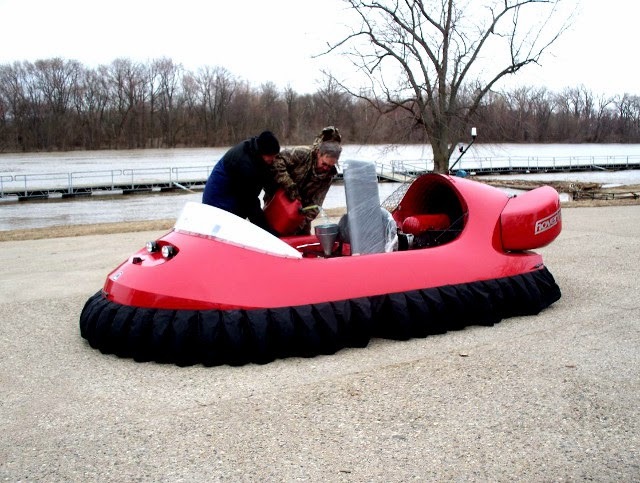 Buying a hovercraft can be a smart business move. But a wise businessman doesn’t make impulsive decisions. Instead, he gathers information, researches options and conducts a thorough analysis before he commits to a capital outlay. 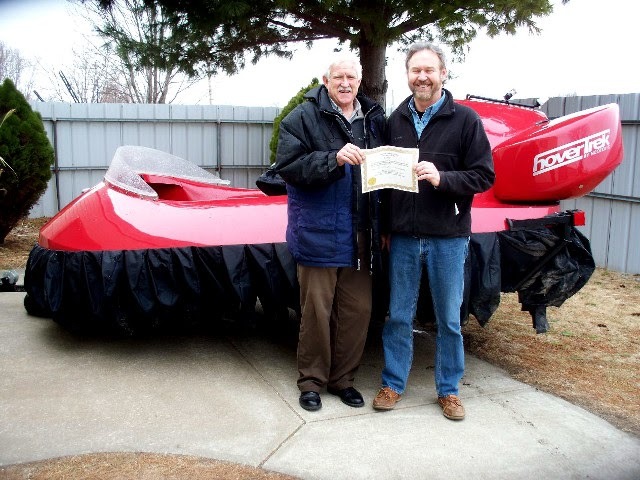 Cory Wendt of Madison, Wisconsin exemplifies that wisdom – and that’s what brought him to Hovercraft Training Centers. 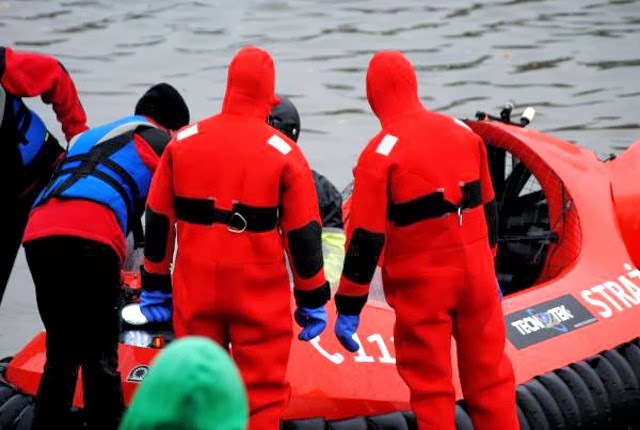 While in college, Cory and his friend Jason Rockvam of Clancy, Montana, worked as guides at a fishing lodge in Lake Creek, Alaska. 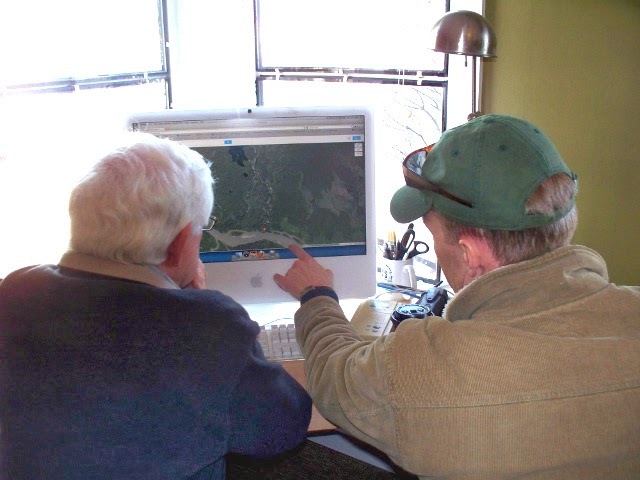 It so impressed them that they made a business decision: for the last 13 years they have owned and operated Wilderness Place Lodge - and it’s now one of the top five fishing lodges in Alaska. 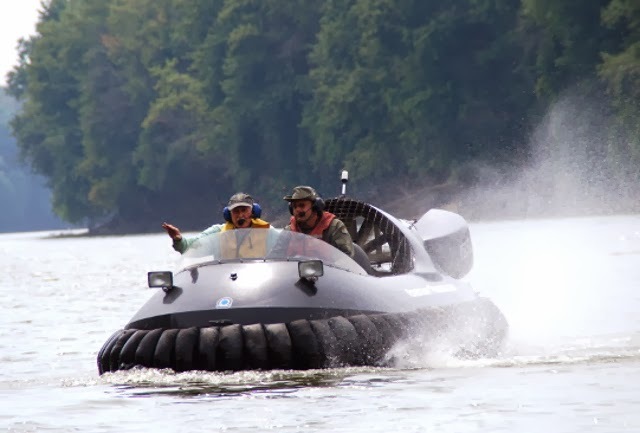 So, whether Cory decides on a 4- passenger or a 6-passenger hovercraft for Wilderness Place Lodge, he definitely intends to undergo an HTC training course when he picks up his new craft – another very wise business decision! 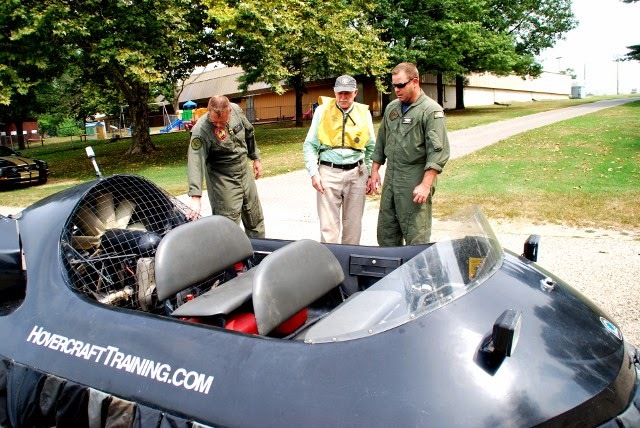 Currently, LCAC Craftmasters are trained using simulators, following by final training in actual LCACs; from what we are told this is a costly protocol with low retention rates. 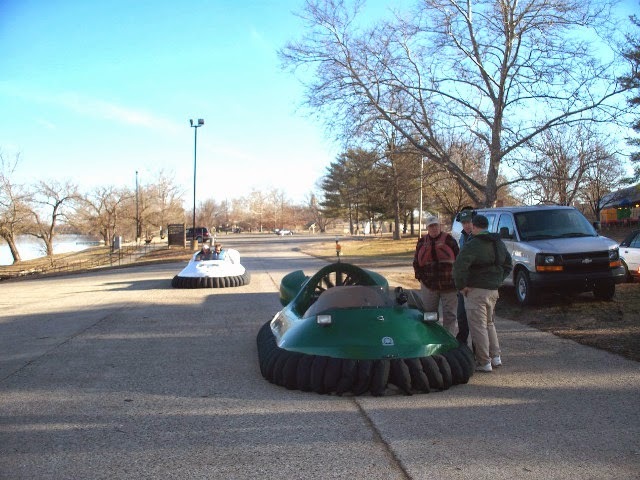 According to information we gathered from the Navy’s Virginia Beach hovercraft training base, it costs the military approximately $200,000 per trainee. Each trainee spends approximately 100 hours in simulators, which cost $800 per hour to operate. 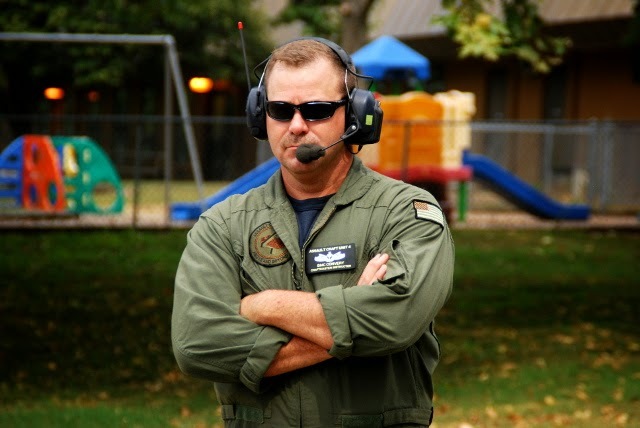 Trainer LCACs operate about 150 hours per year, which costs $7,800 per hour. And the current dropout rates for Craftmasters, Engineers, Navigators, and Loadmasters ranges from 15% to 65%. 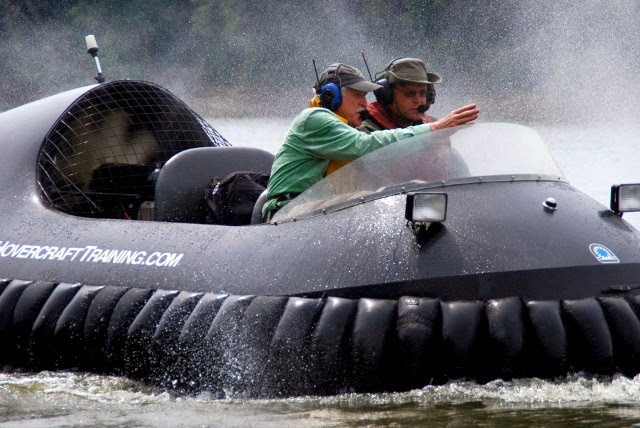 Fitzgerald’s visit to ACU4 confirmed his theory that light hovercraft could benefit the Navy’s LCAC training program. In contrast to the Navy’s protocol, military aircraft pilots are initially trained in light aircraft, then move directly to heavy aircraft. 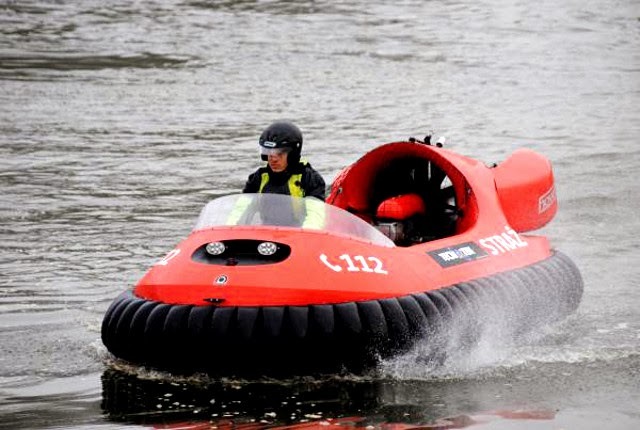 Following this protocol and using light hovercraft for initial LCAC/SSC training is likely to be a much more efficient and cost-effective method. 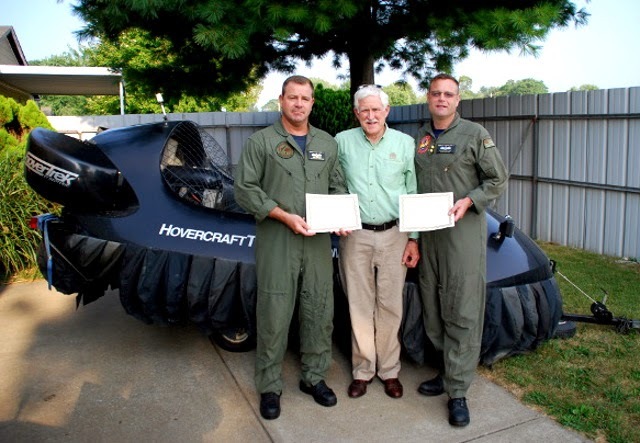 Both Craftmasters felt that their day of training was productive and that it enabled them to experience the differences – and many similarities – between light hovercraft and heavy military hovercraft. 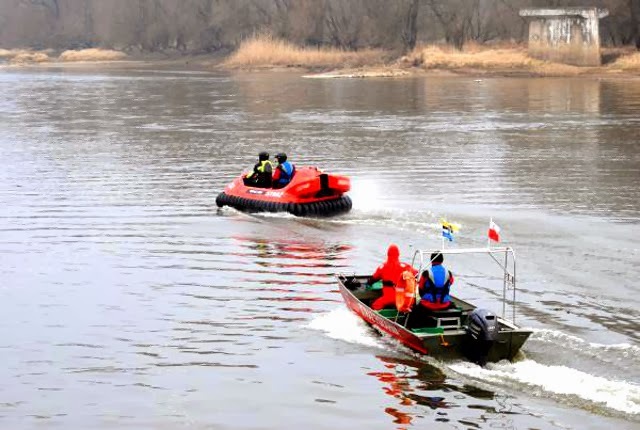 “I felt very comfortable; it’s very similar to what we teach. 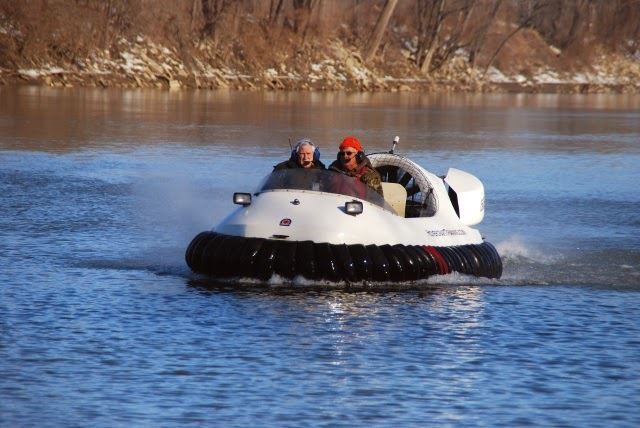 Before I came here I was skeptical that flying this hovercraft could help anyone fly an LCAC. 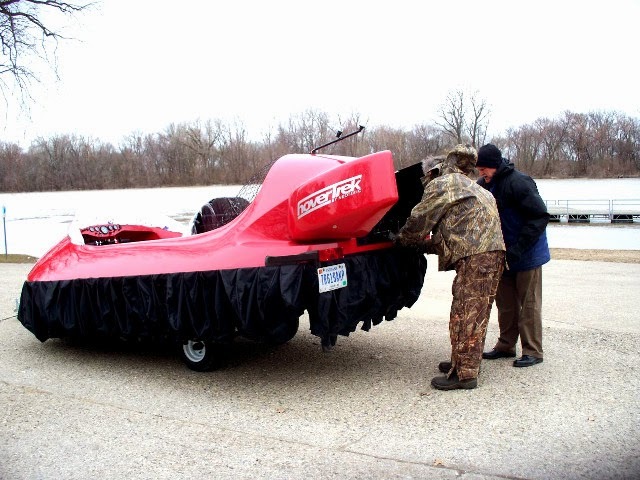 But flying this craft, using the thrust buckets, it does help,” Sutter said. 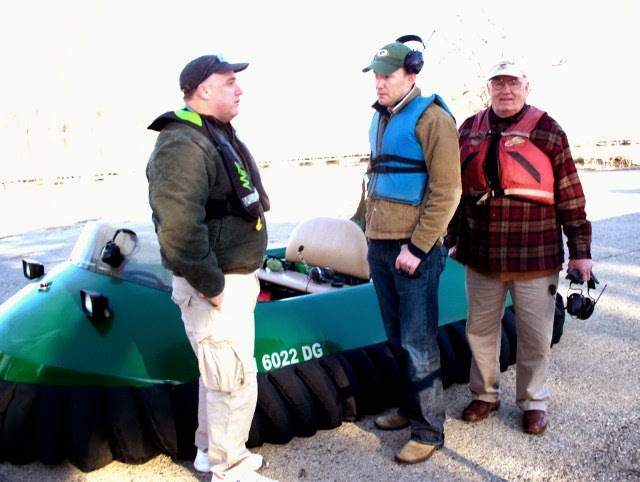 Sutter and Convery's visit solidified the premise that light hovercraft could play a role in the LCAC/SSC training program, and we'll keep you informed as this project moves forward. 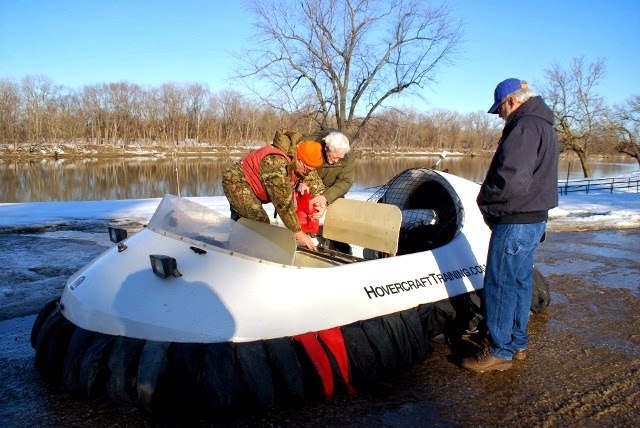 Should the U.S. Navy utilize Hovercraft Training Centers and Neoteric Hovercraft to streamline their training protocol, it would improve the cost/benefit ratio of training for the Department of Defense. It would also lower the high attrition rate by serving as an inexpensive way to qualify future Craftmasters and Navigators. 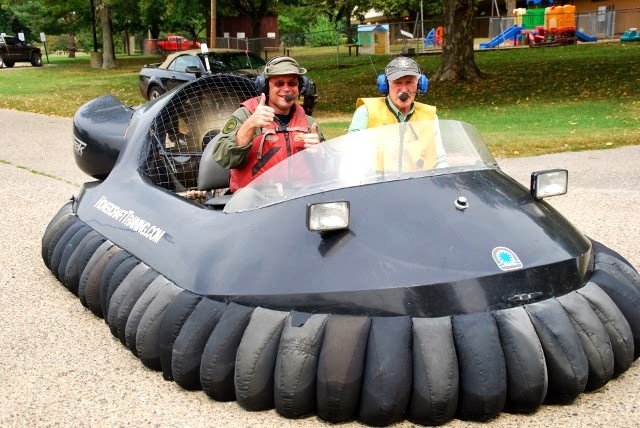 And, since Neoteric Hovercraft easily capture public attention, they're an excellent public relations and marketing tool that would boost the success of the military's recruiting efforts. 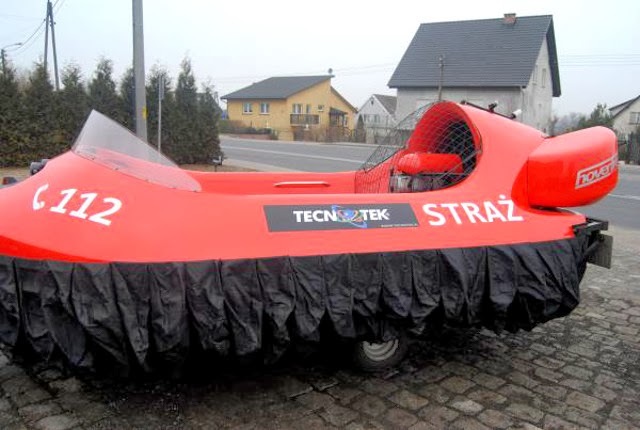 After completing hovercraft pilot training at HTC, Michal Przybylski launched his own company, Tecnotek Polska, to become a Neoteric Hovercraft dealer in Poland. 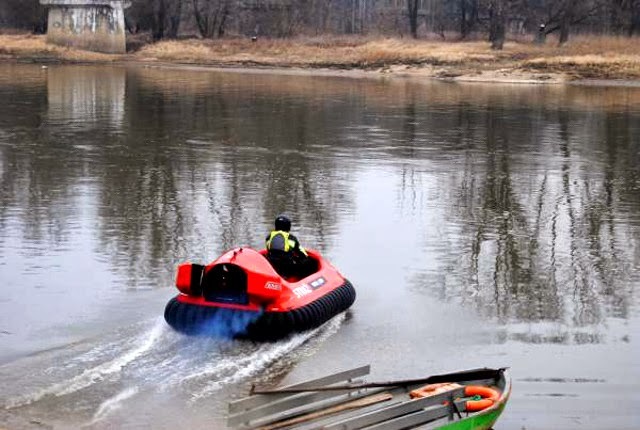 Tecnotek Polska is actively engaged in demonstrating the hovercraft’s value in rescue operations to fire departments and other rescue agencies throughout Poland – and their response has been extremely positive. 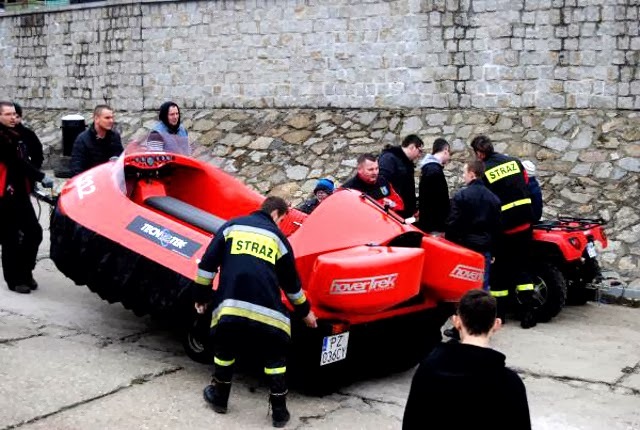 Michal reports that the feedback he received from this demo is “incredible.” Officials were extremely impressed by the hovercraft’s capabilities, and the attending Fire Rescue departments are in the process of writing grants to help them purchase a Rescue HoverTrek™. 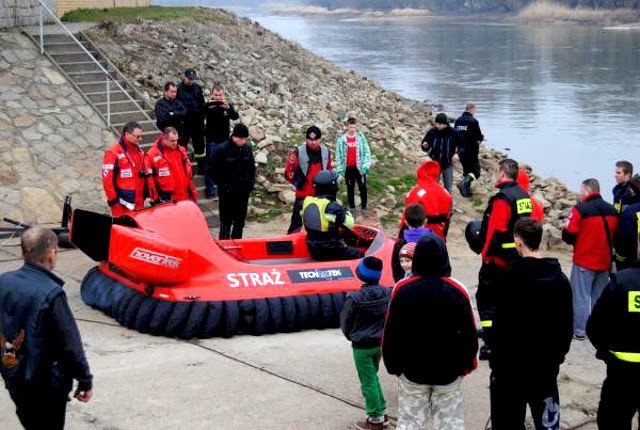 Once again, HTC training serves to make the world a little safer! "There's more to flying than just jumping in the cockpit!" 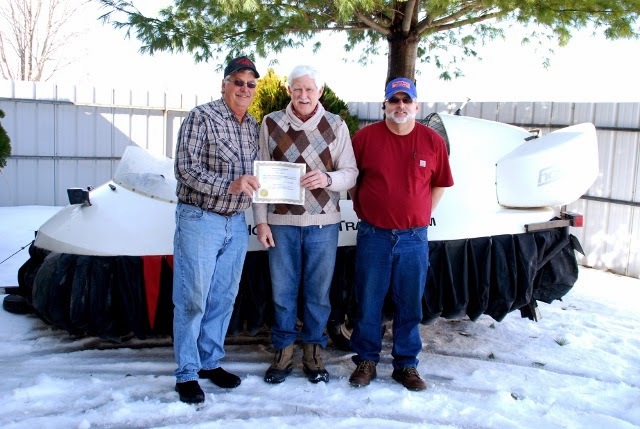 Bill Hopkins is a retired tool and die maker from Kansas who knows a thing or two about flying. He’s been into hang gliders, flown helicopters - and even built and piloted his own airplane. “If it’s flyable, I like to fly it,” he says. And that’s just what he did. 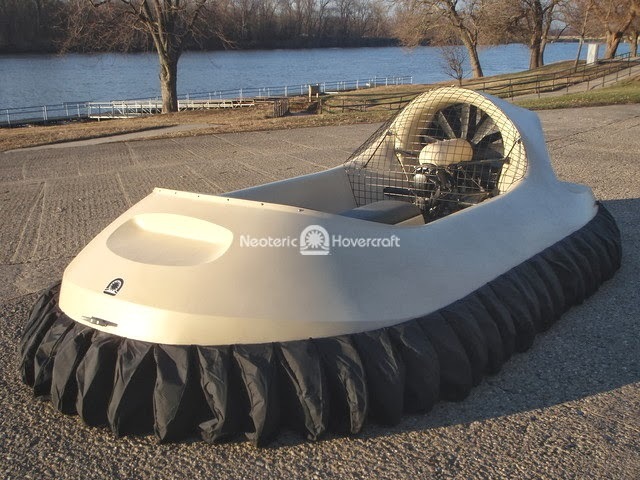 Here’s Bill Hopkins’ hovercraft, purchased from the Neoteric Hovercraft Trade-In Showroom, which he plans to use for lake and river cruising and fishing – and, of course, staying off the ground! Want to get off the ground? 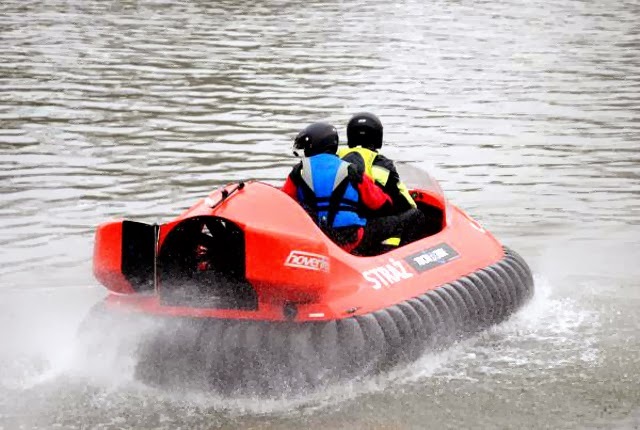 Take a Test Flight and see if a hovercraft is the way to go!